This 2 million square foot manufacturing facility was originally built in the 1930’s for Chevrolet. Closed in 2011, the building sat vacant for years. 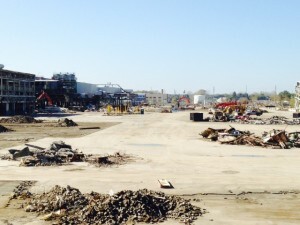 Denney Excavating was contracted to demolish most of buildings on this 102 acre site. The project started in Dec 2013 and was completed in 2015. The average demolition per week was 49,000 square feet of building footprint. 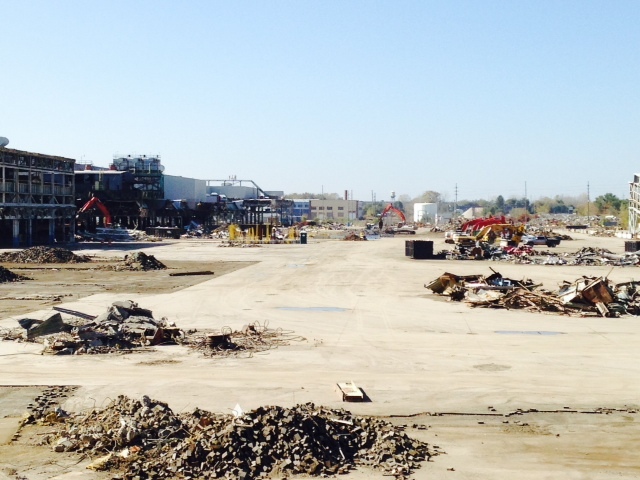 A large portion of the plant was recycled including the metal, overhead cranes, wood block flooring, circuit breakers, and the clean concrete was crushed and reused on site by our Crushing crews.